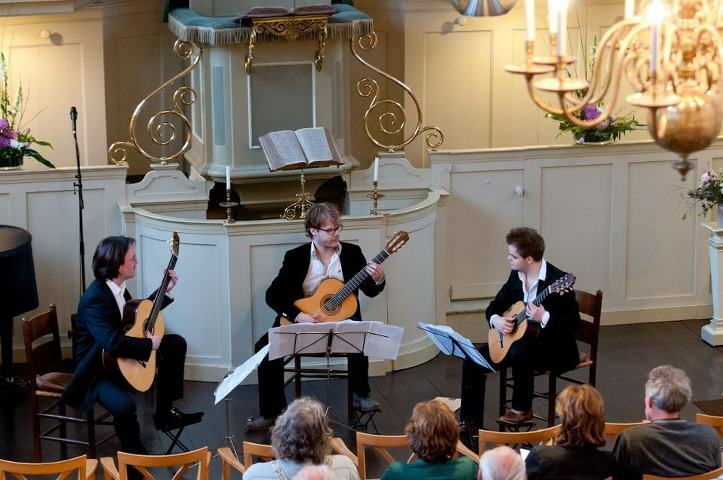 Tom Edskes posted a couple of photos on Facebook among which this photo of the Baldur Guitar Trio. The trio exists for two third of my guitars. Tom (left) is playing a fifth bass guitar and Robin Scherpen (right) is playing a requinto. The guitarist in the middle is called Sjors Holleboom.